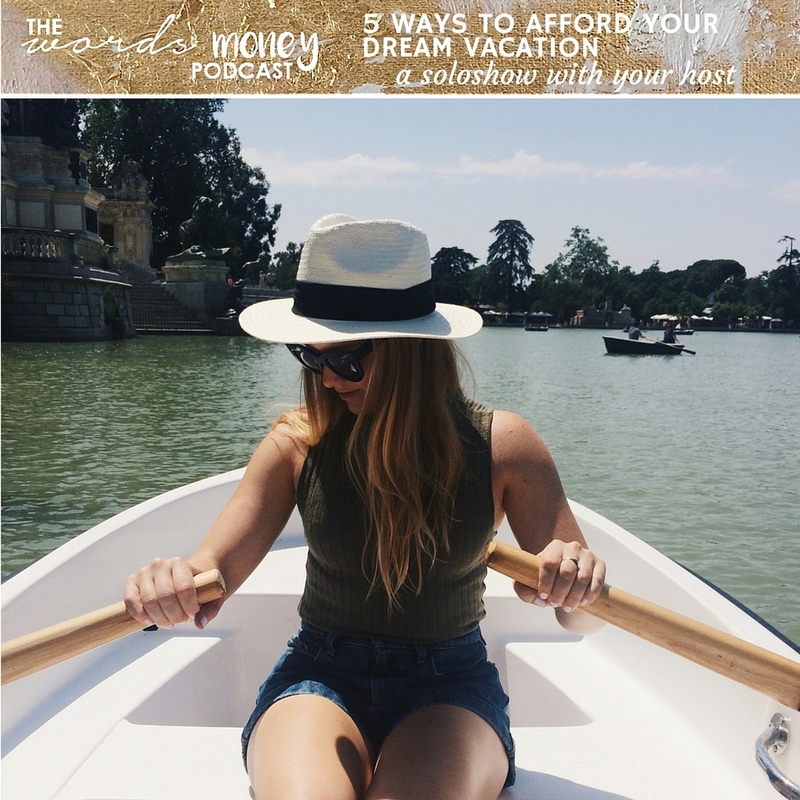 In this episode of the Words and Money podcast I dive into 5 of my 17 ways to afford your dream vacation. These are the 5 things that I truly did to take a big 12-day vacation this summer, and I'm sharing all of the details and stories behind the what, why and how I did it. Also, I share where Words and Money is going as we've already had 30 episodes in the books. Shifting to focus more on exploring a world of what wealth means to us (which can be very subjective so we'll dive into it all: health, fitness, travel, business, spirituality, etc.) but we'll still hold tight to our money roots and have open and casual conversations about money. Take a listen!